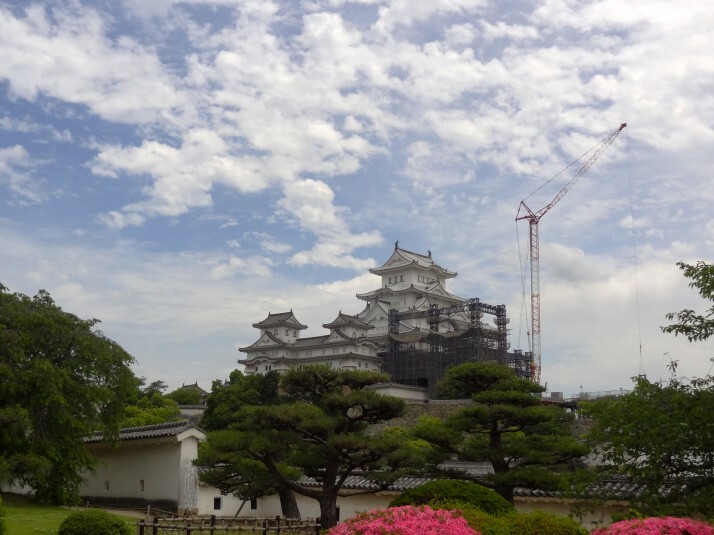 We’d heard from fellow travellers and recent TripAdvisor reviews that Himeji’s main attraction and a highlight of Japan – the magnificent Himeji Castle – was in the final stages of restoration, and everyone suggested visiting after March 2015. But, we’re in Japan now, and Himeji was en-route so we figured that we’d stop off anyway and see how much of this famous castle we could actually see. Arriving with expectations of the castle being completely covered, we were delighted to find an almost un-obscured view of the resplendently restored Himeji main keep. Because the cranes were still dismantling the scaffolding, the keep and its courtyard were cordoned off, which was slightly annoying because we were still charged full admission! However, as we found in Matsumoto, there were volunteers who offer free guided tours and as Himeji was quiet we got one all to ourselves. Our excellent guide walked us through the battlements and defences, and we especially liked the different shaped embrasures designed for specific defence weaponry: square and circular ones for rifles, and tall rectangles for bow and arrows. The different shaped windows brought to mind a scene from the children’s TV show ‘Play School’ – “let’s look through the round window“. We really like having a guide with us as they’re so enthusiastic about the castle and its history. 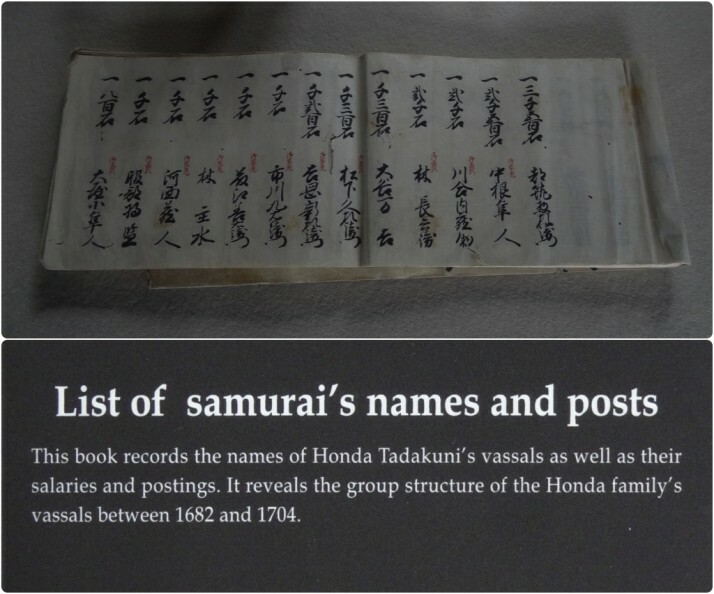 As well as translating a lot of the exhibits they often add a lot of historical context and stories about Japanese history that isn’t included in the displays. 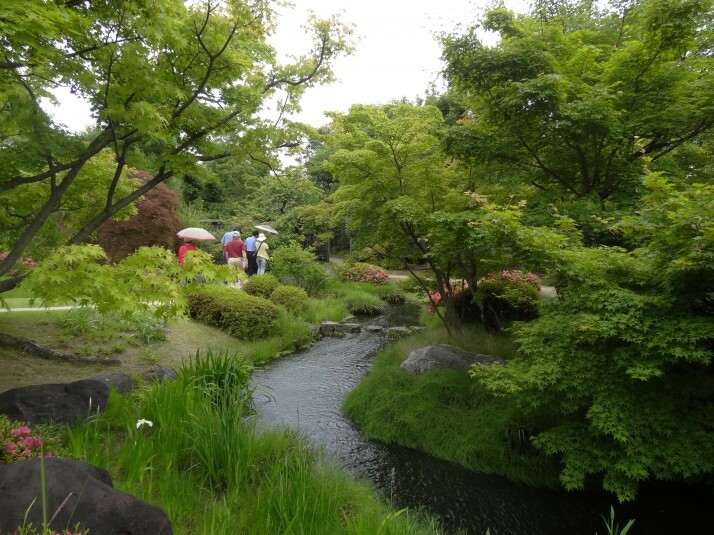 We opted for the combined entry ticket which included the Koko-en gardens west of the castle. Reminiscent of the walled Forbidden City in Beijing (though not even slightly symmetrical), the gardens are separated by passageways of high walls. 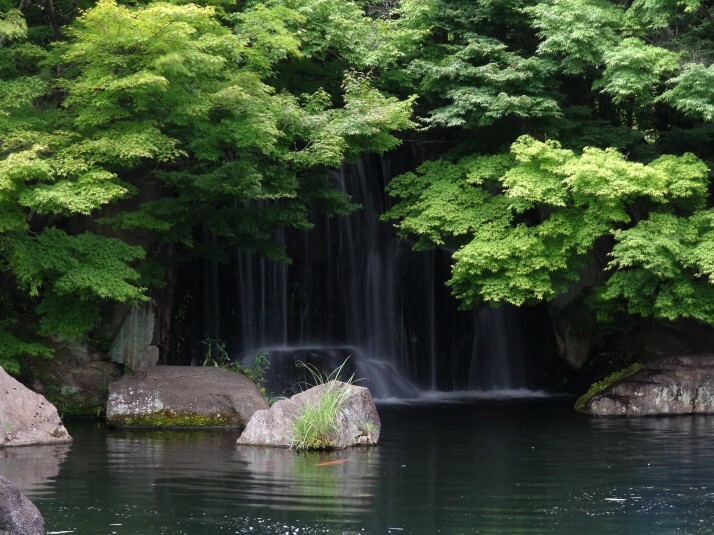 As much as I enjoy Japanese castles for their engineering, symmetry and finish, I think I enjoy Japanese gardens more, for their immaculate control over nature and the inclusion of ponds and waterfalls. Koko-en is a collection of 9 gardens, each with a different theme. 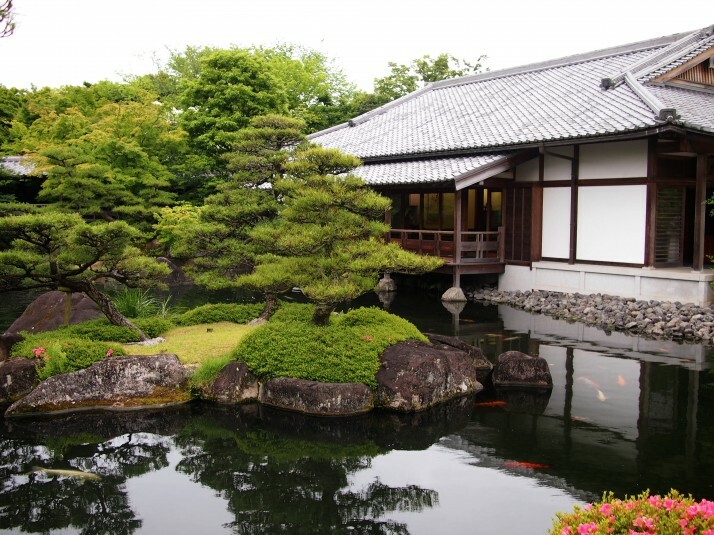 The first is a typical tea ceremony garden, arranged so the view is best from the guest house. The fourth, fifth and sixth gardens share a fast-flowing, winding stream, and each has little bridges or stepping stones that invite the wanderer to cross. These joined gardens are seasonal – the ‘garden of summer trees’, and the ‘garden of winter trees’ are designed so there’s a different focal point depending on the time of year, and I thought it was also a clever metaphor – walking through the seasons is like walking through the passage of time. But the eighth garden was my favourite. 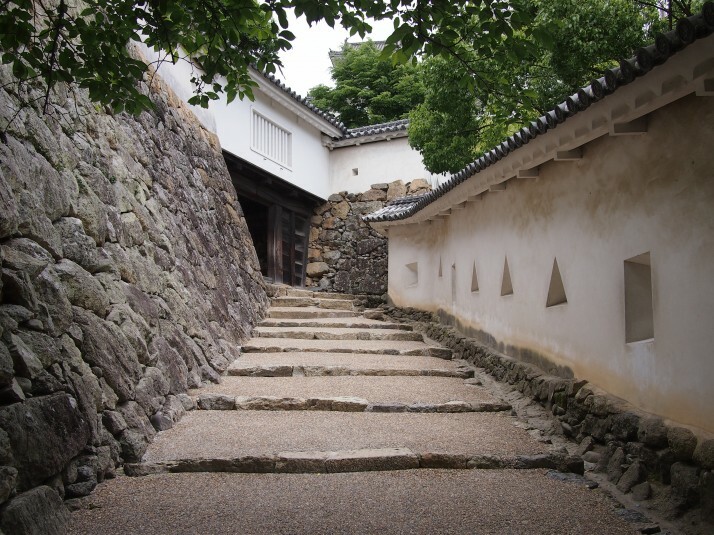 It’s a clever design of two looping pathways that each return you to your starting position, backdropped by Himeji castle. We feel pretty fortunate about our visit to Himeji. The external construction works were all but complete and we were afforded some great views. 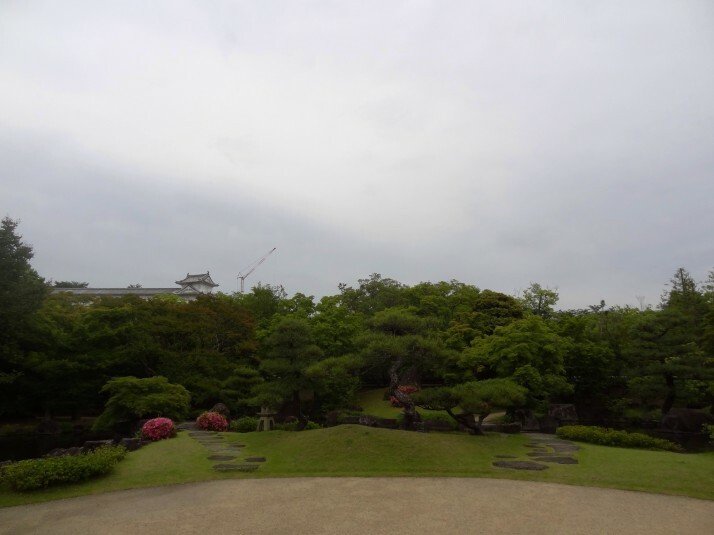 This entry was posted in Places and tagged Castle, Garden, Himeji, Japan on June 30, 2014 by Andrew. What is 21 + 16 ?